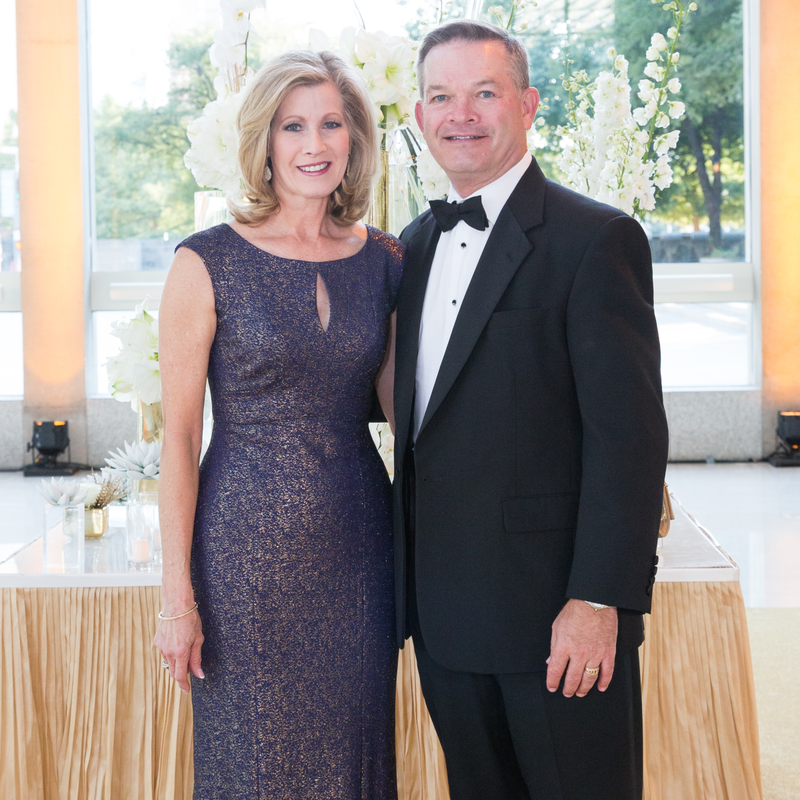 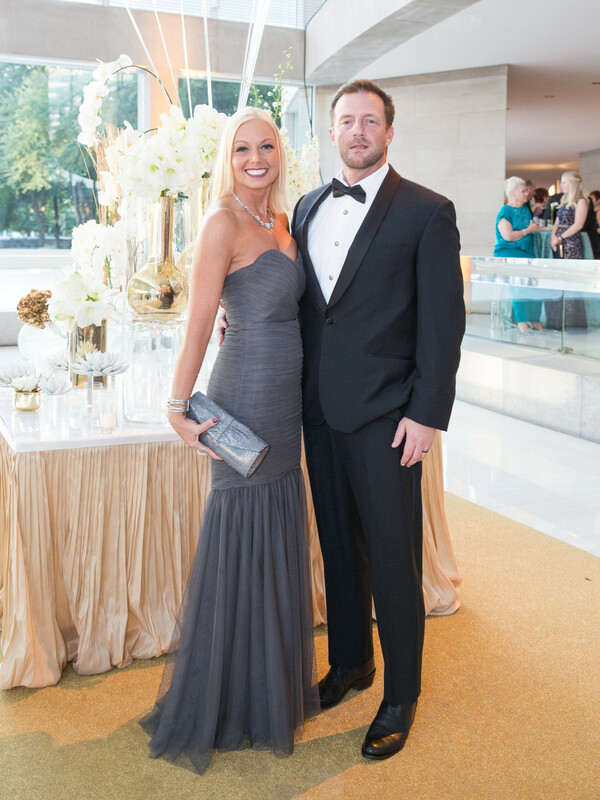 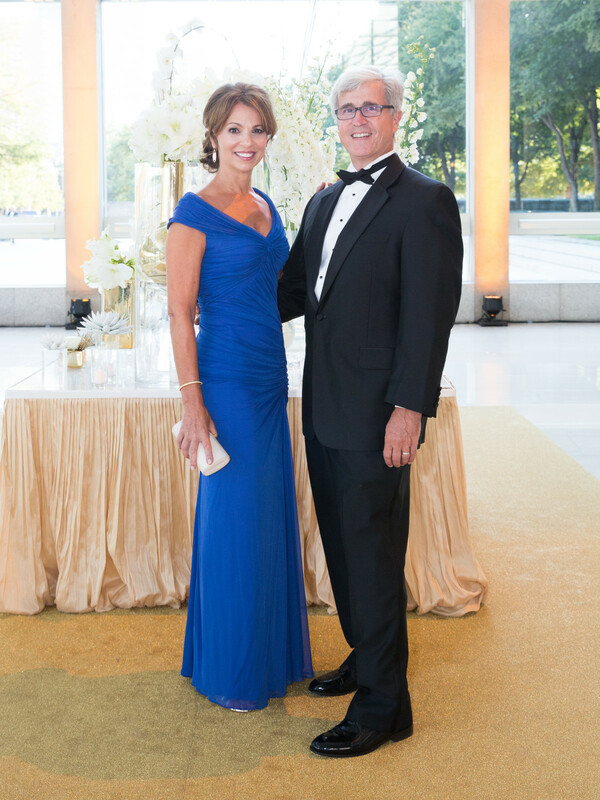 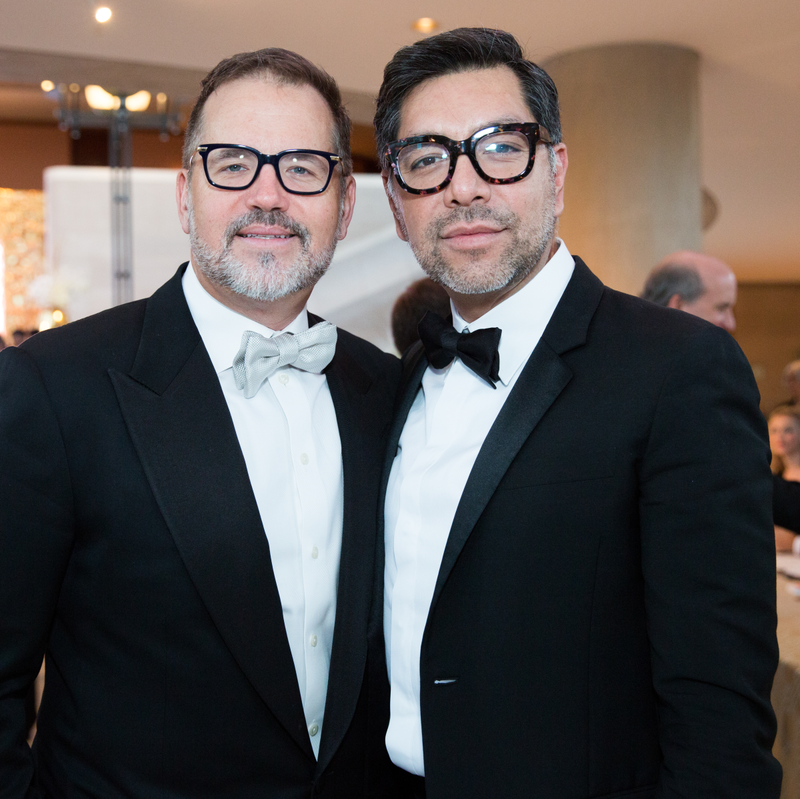 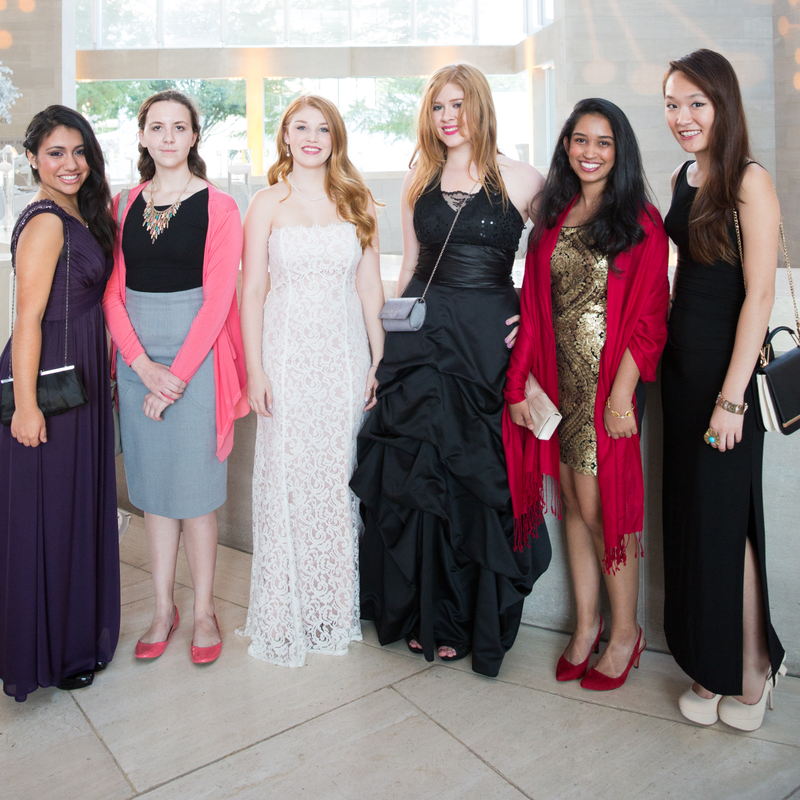 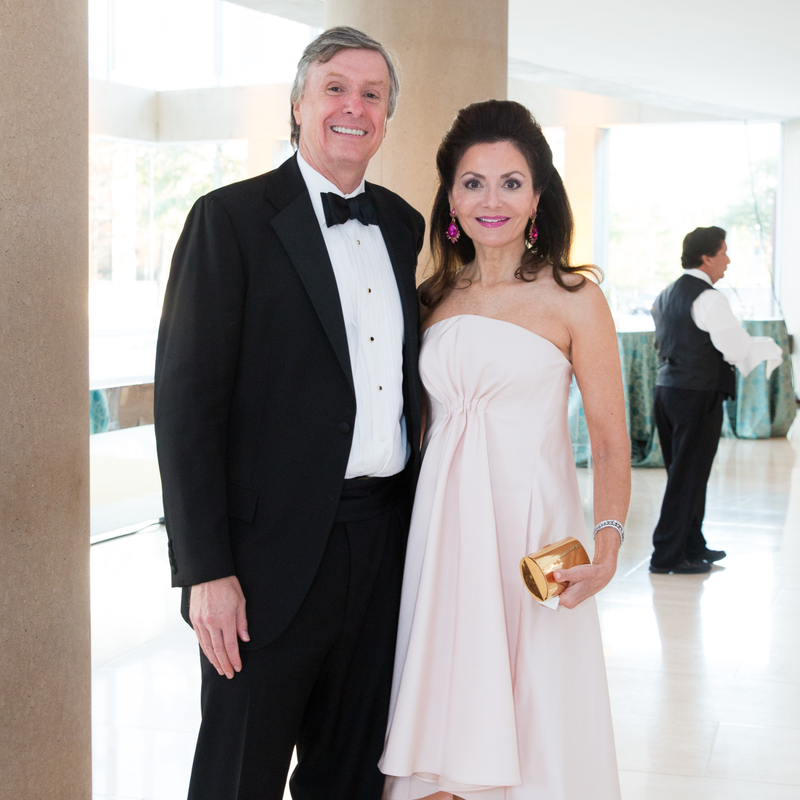 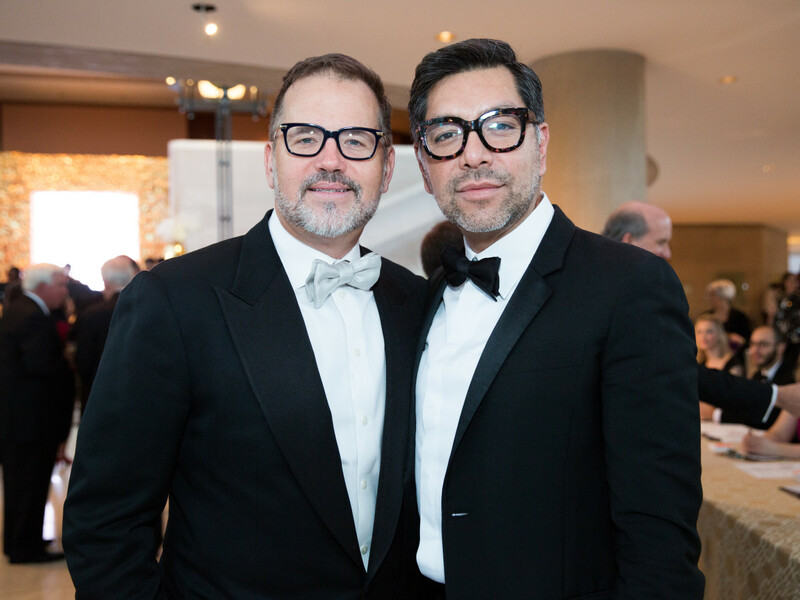 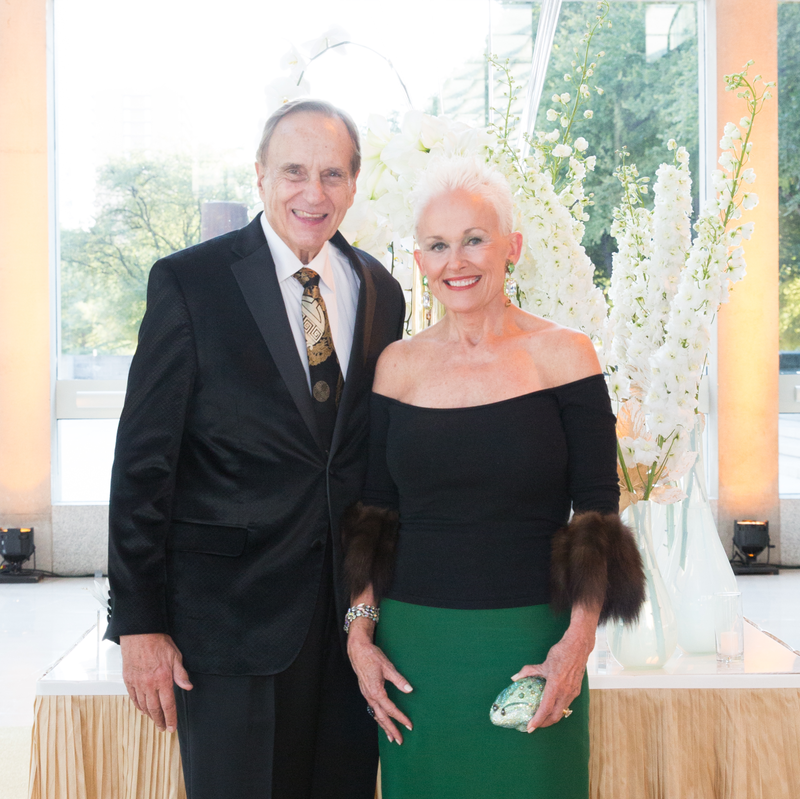 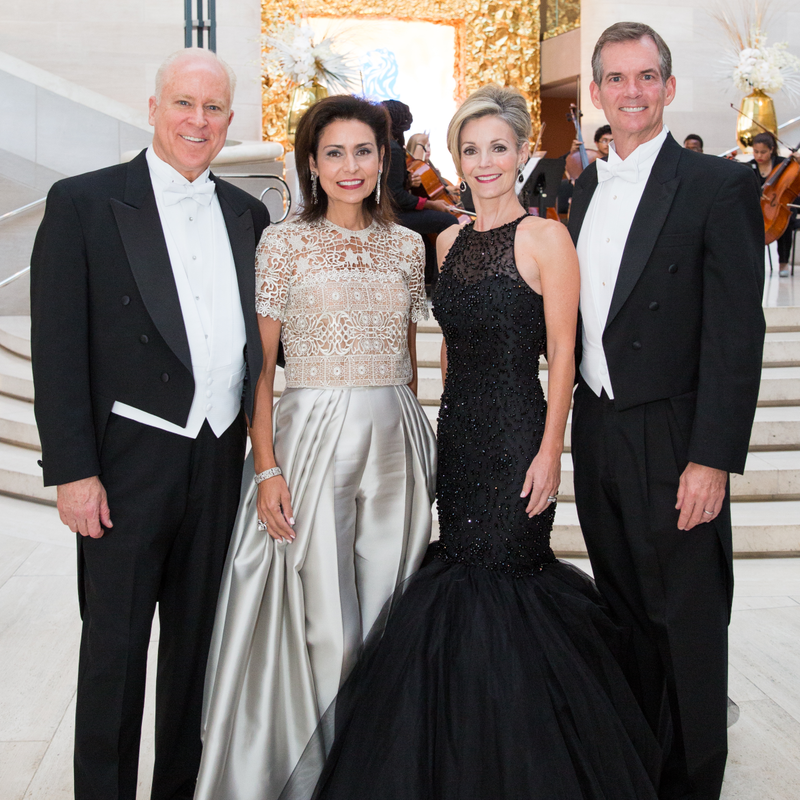 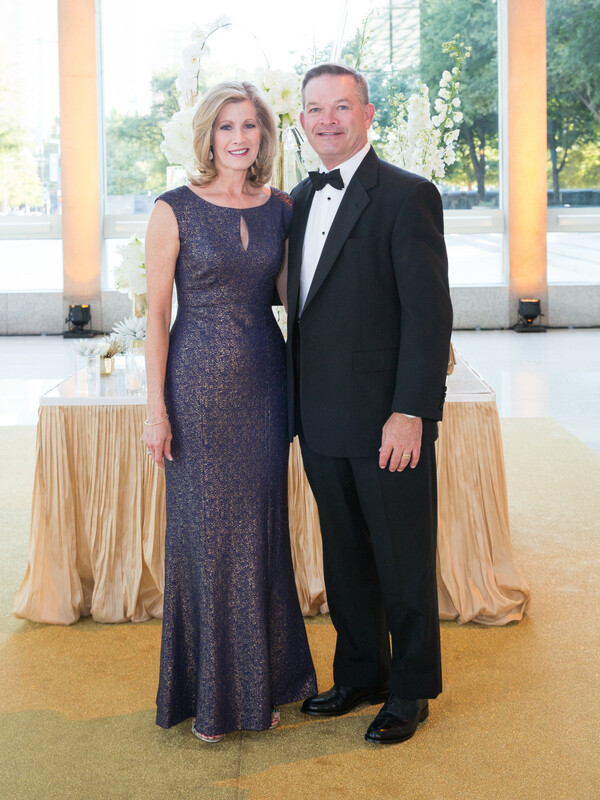 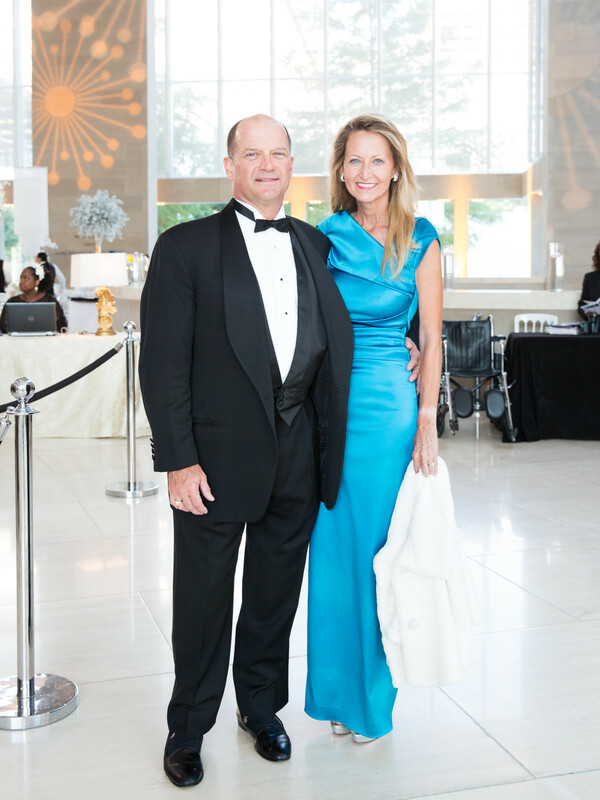 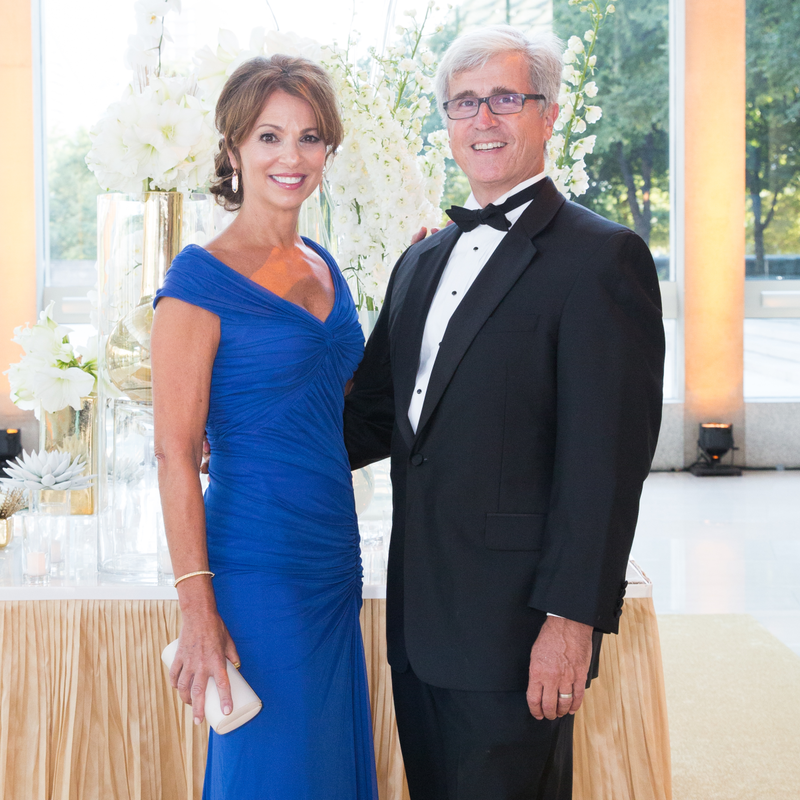 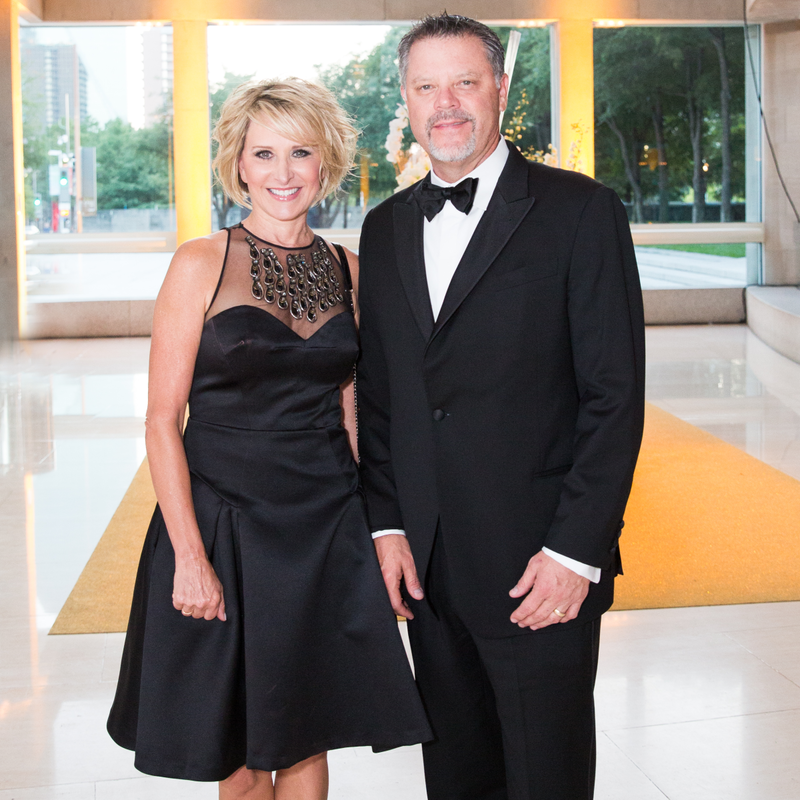 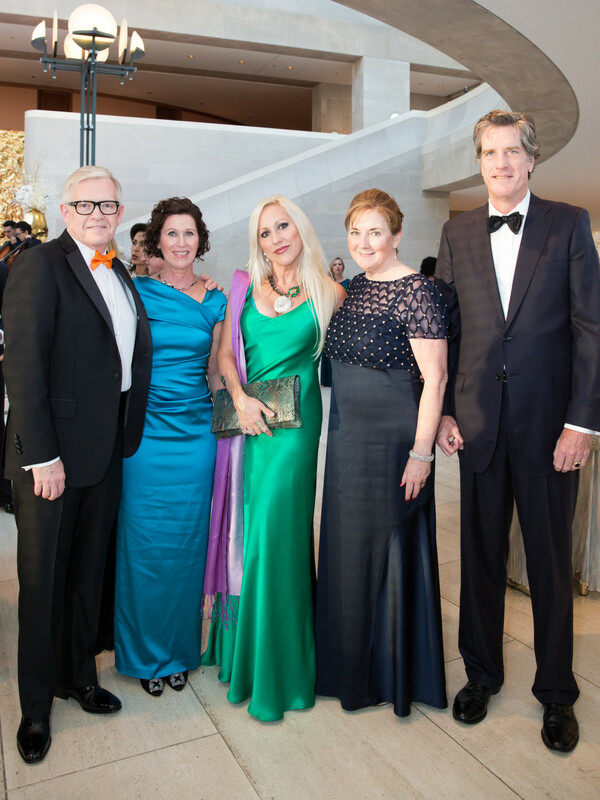 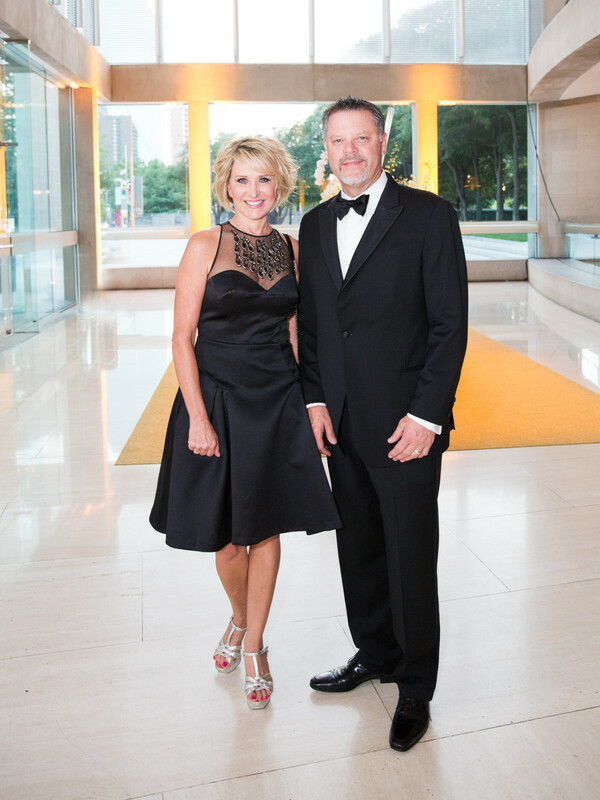 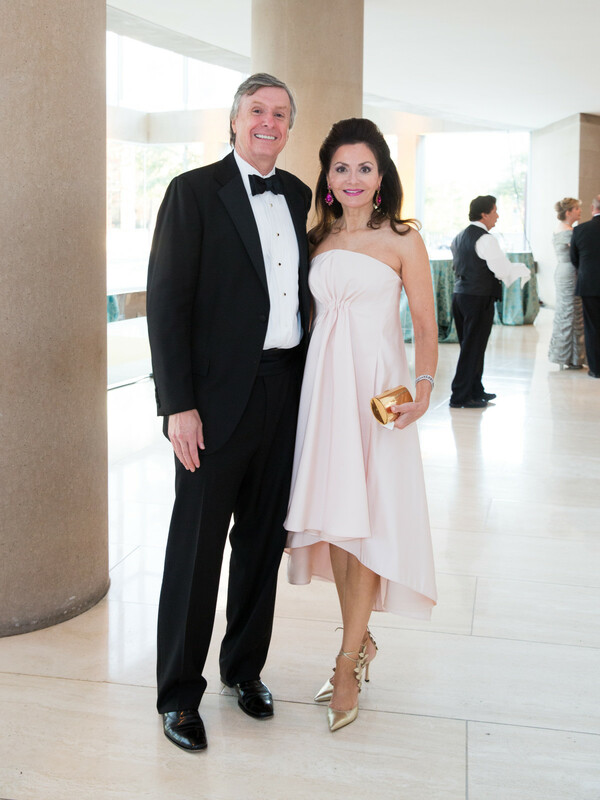 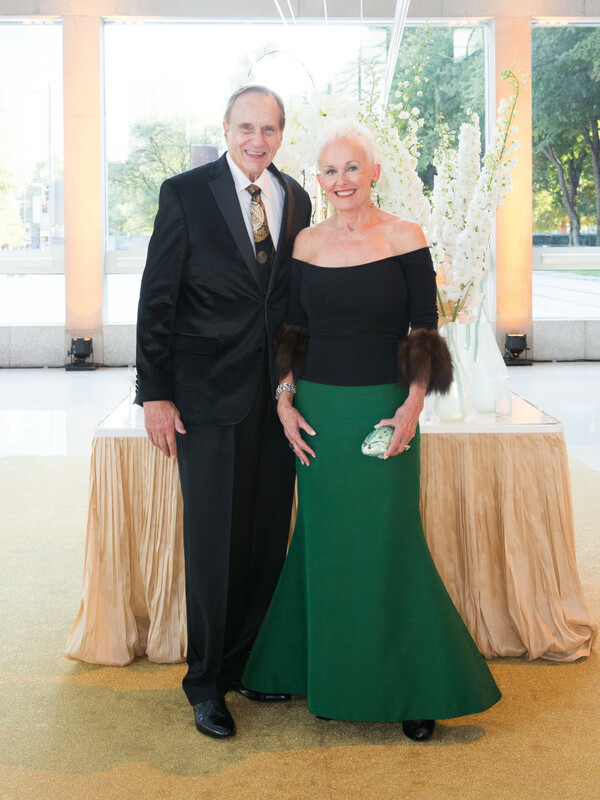 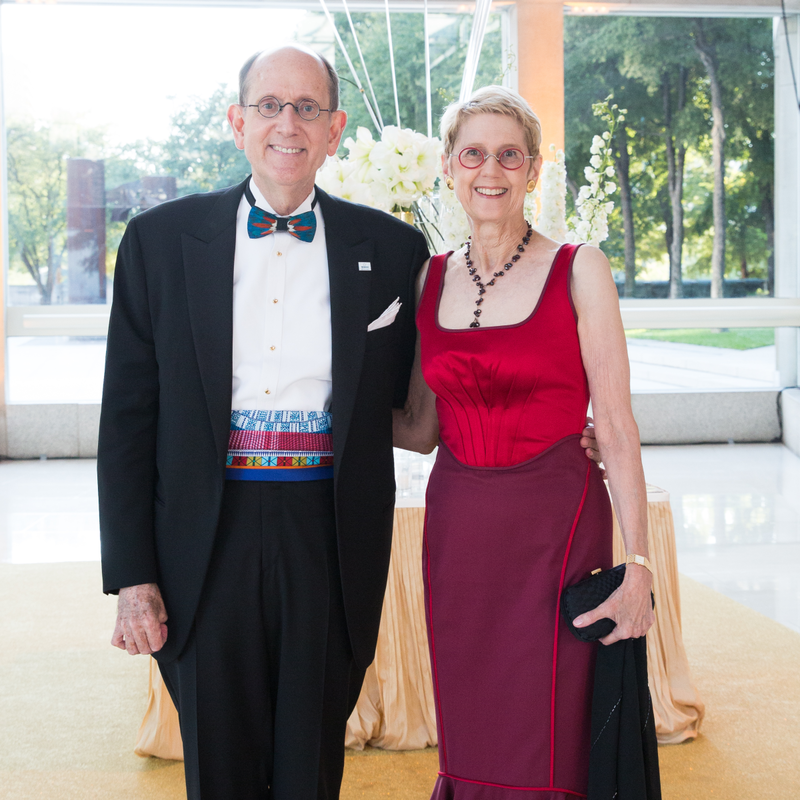 The city's most passionate symphony enthusiasts dressed in their finest and descended on the Meyerson Symphony Center on September 26 for the 2015 Dallas Symphony Orchestra AT&T Gala. 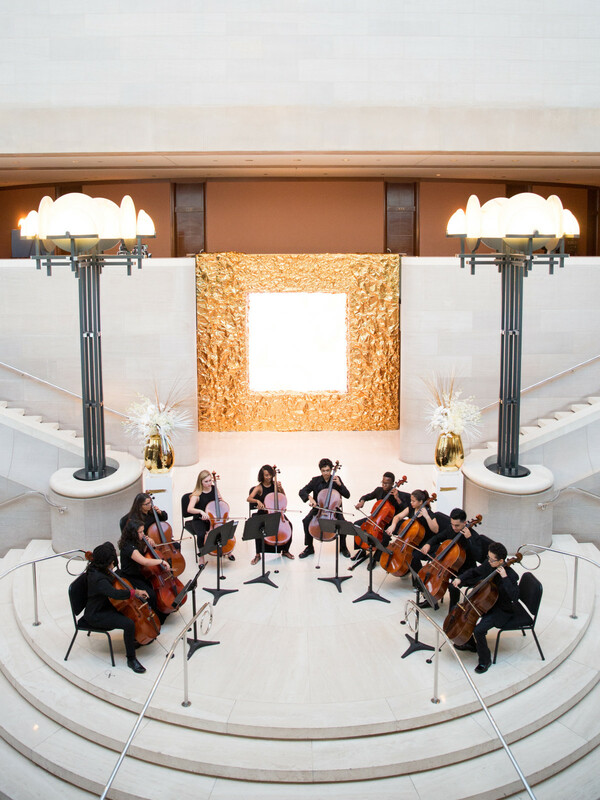 The annual fall tradition is music to every socialite's ears. 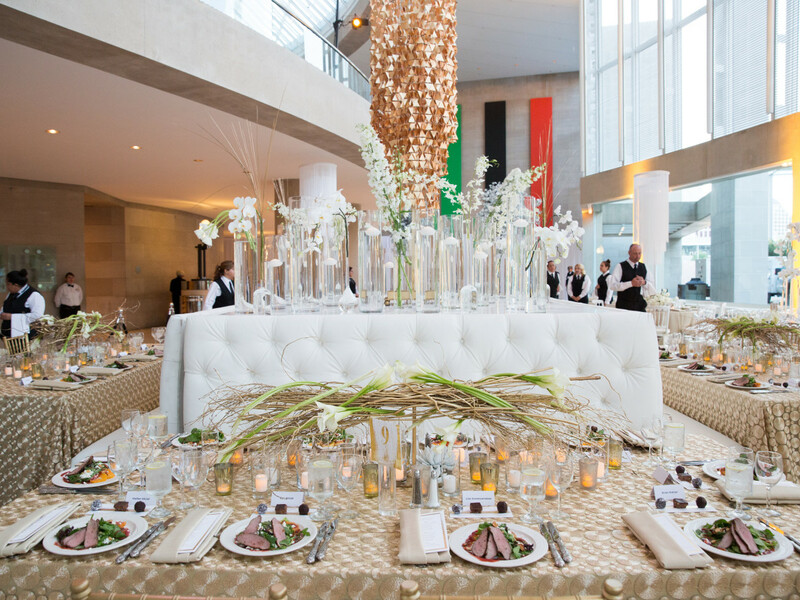 For this unforgettable evening, event chairs Katherine and Key Coker and Jennifer and Coley Clark tapped the talented team at Todd Events, who delivered simple yet striking decor with gold tones and orchids. 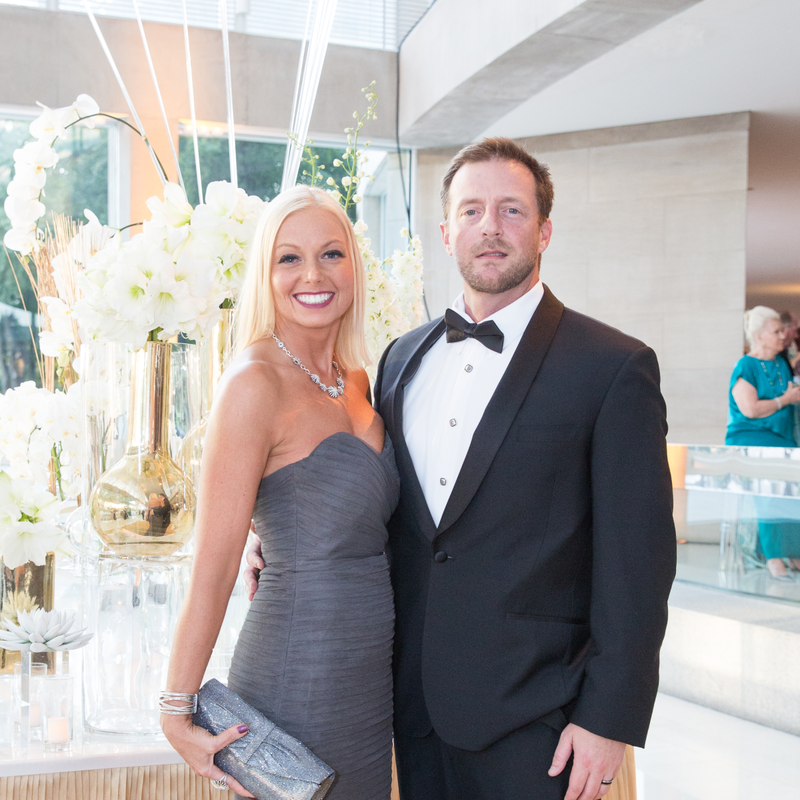 In fact, we overheard multiple guests commenting about the stunning venue that seemed to sparkle in the Dallas dusk. 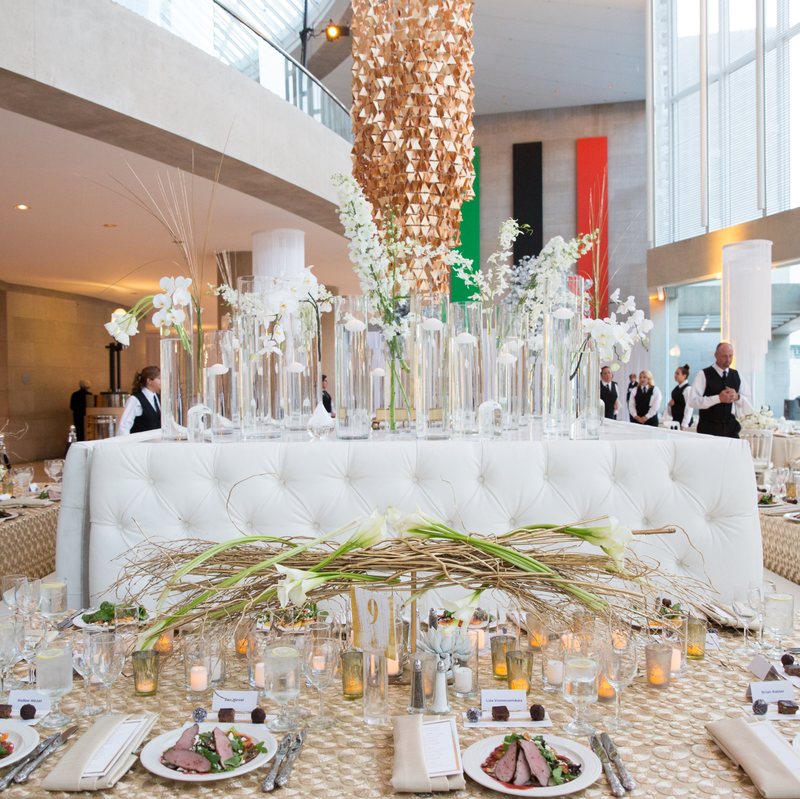 Attendees enjoyed cocktails and dinner by candlelight until it was time for the show to begin. 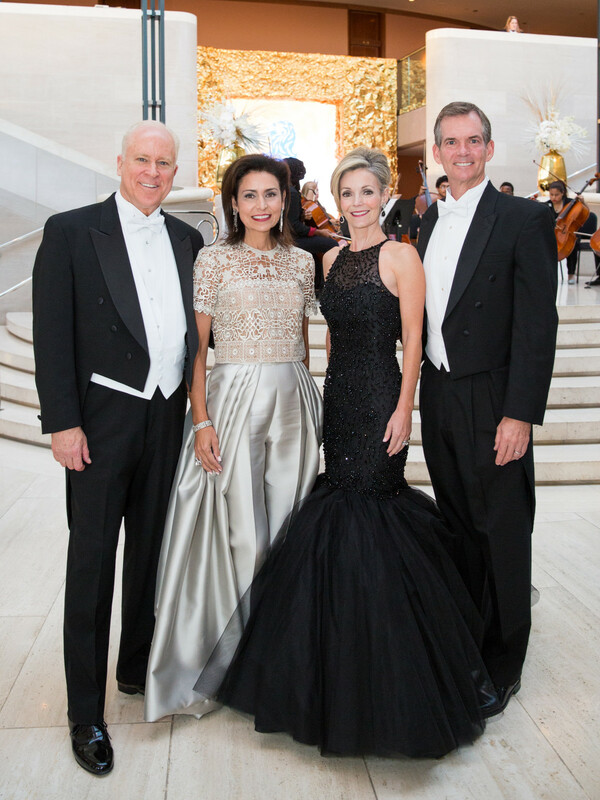 The symphony, under the musical direction of Jaap van Zweden, delivered an impressive all-Beethoven program. 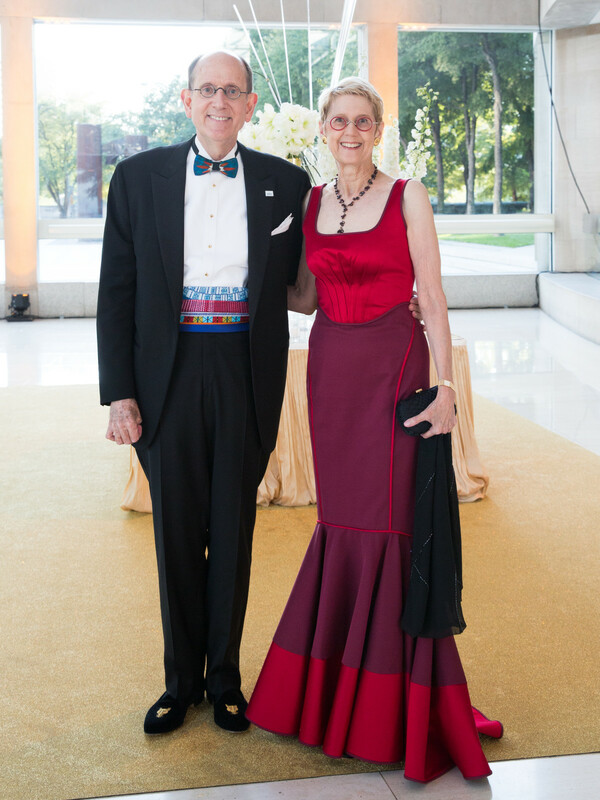 The evening's special guest, renowned violinist Pinchas Zukerman, received a standing ovation from patrons such as Margot and Ross Perot, Barbara and Don Daseke, Lynn and Alan McBee, Melinda and Mark Knowles, and Cynthia and Matt Lyons. 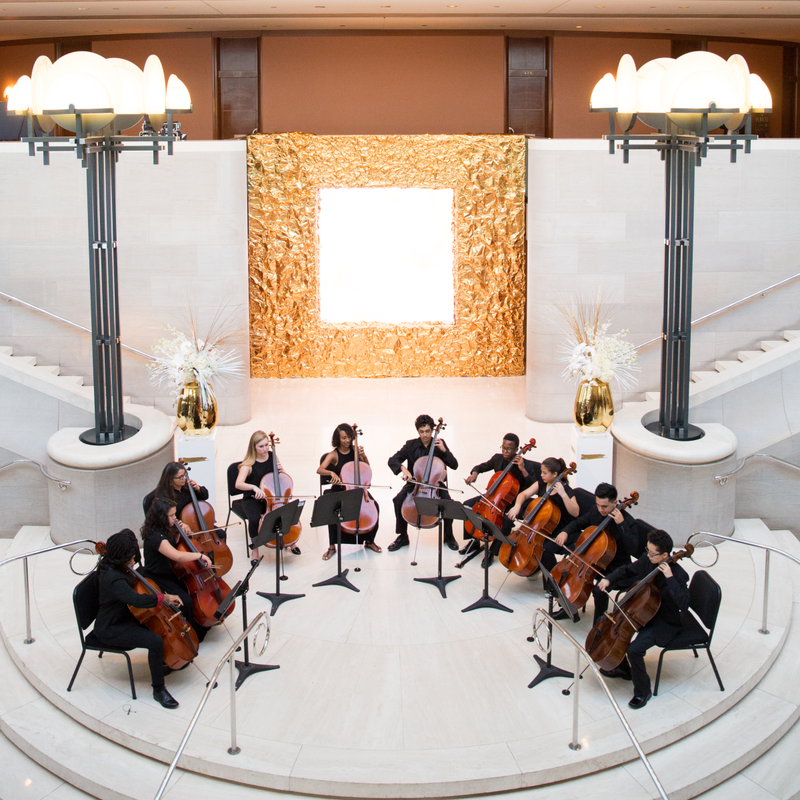 Post concert, the young professionals from Vivaldi Patron Circle invited guests back to the first floor for an after-party replete with specialty cocktails and small bites both savory and sweet (think chips and guac and chocolate-covered strawberries). 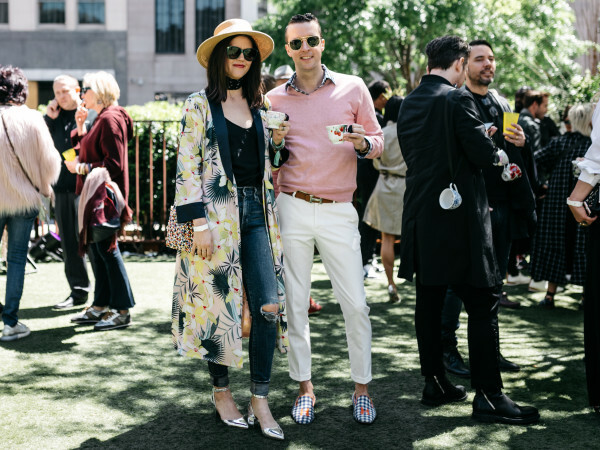 Tireless DJ Lucy Wrubel — she spun at Park & Palate in Klyde Warren Park that afternoon — returned downtown to spin for the affair. 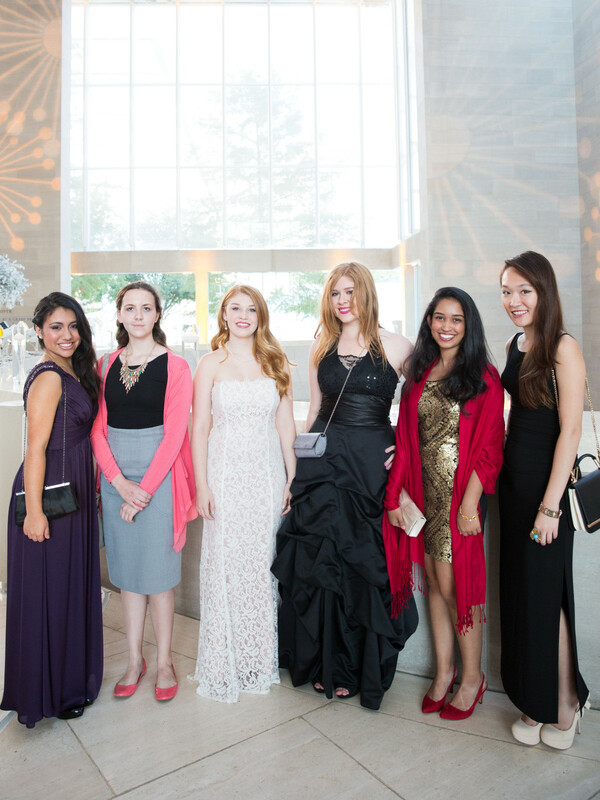 After tearing it up on the dance floor, guests soothed their soles with help from staff members from the Spa at the Ritz-Carlton. 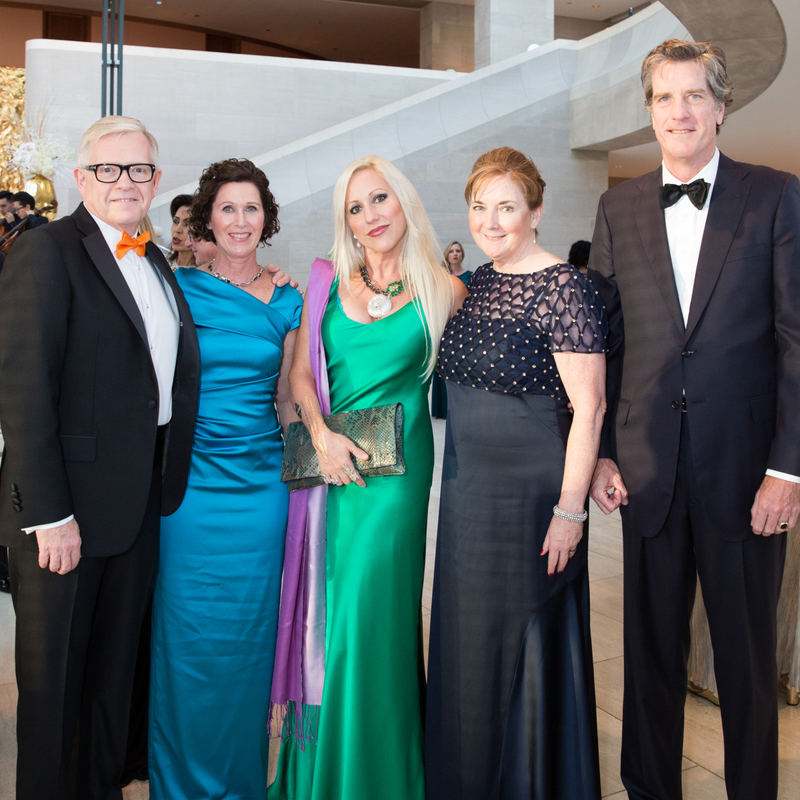 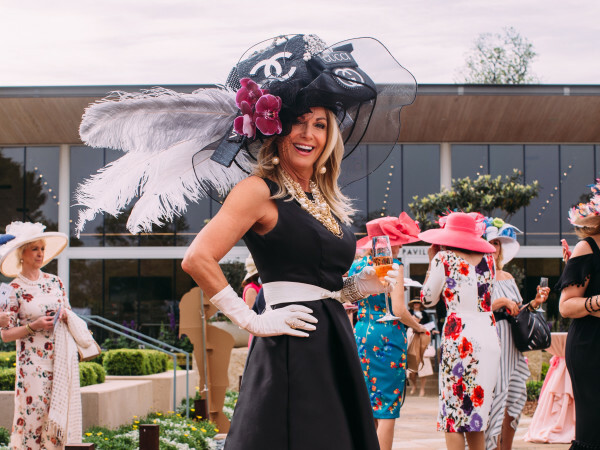 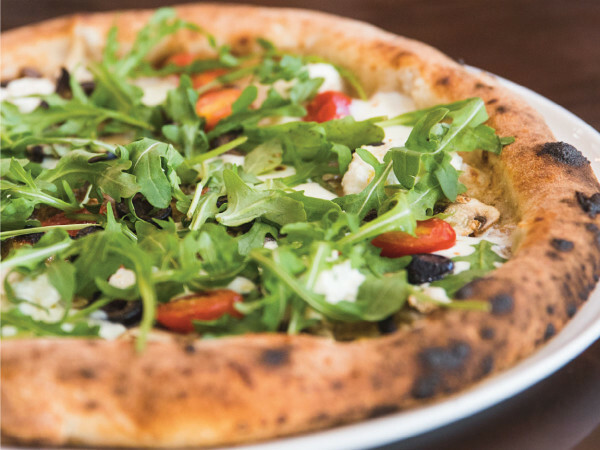 The Dallas Symphony Orchestra AT&T Gala supports the organization's education and community programs, which reach more than 270,000 North Texas residents and 30,000 children. 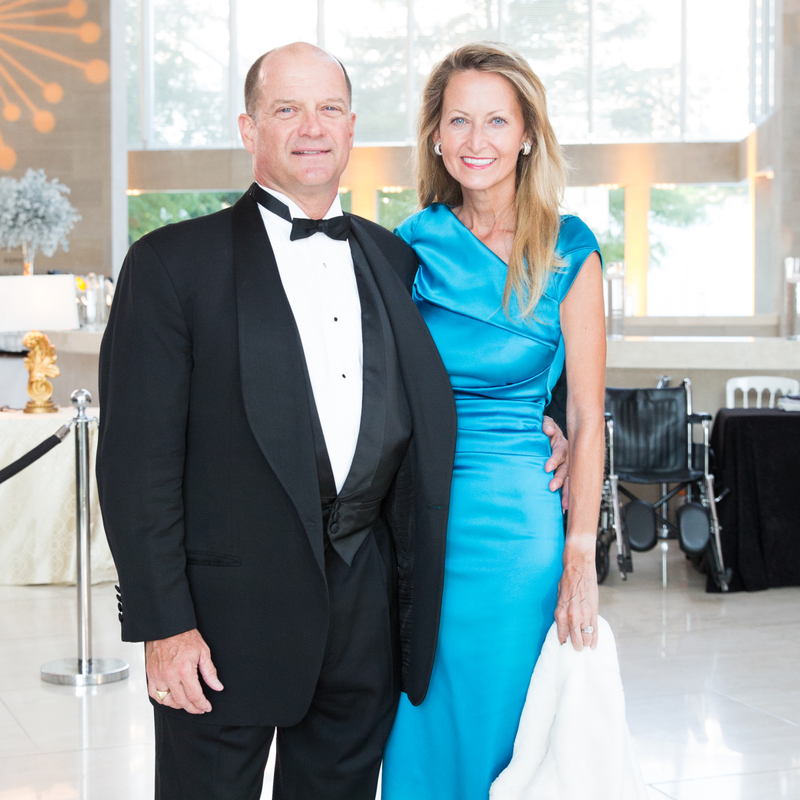 DSO president Jonathan Martin reported that half a million dollars was raised at this year's affair.